Three years ago we gathered with friends and family to say goodbye. So much of that day is clear in my minds eye, and so much more is a muddle. 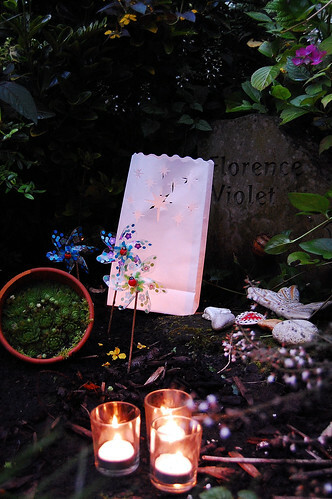 Dearest Florence, I hope you feel her as close to you as you can stand. The same line stood out for me as Catherine highlighted. Some moments I recall with vivid clarity, others it is just all fuzzy. Just read your story about your beloved Florence. Such a sad and a precious story and memory. I cannot imagine losing a little one. I've never even had a miscarriage. It saddens my heart that your family went through all of this. Hugs!